Ready to get started? Sit upright with the spine erect (support yourself with cushions or yoga blocks under your tail-bone to make this easier), relax and remain seated in a comfortably dignified position, hands resting on the knees or on your lap. Breathe gently and settle yourself before you begin. First a simple silent mantra to start you working with the breath..
Repeat 'SOH - HUM' to yourself. 'SOH' on the in-breath. 'HUM' on the out-breath. Another simple mantra to try out loud this time..
Take a deep breath in and say 'AAH-OOO-MMM' for the length of your out-breath. Breathe in silently and repeat. This one expresses respect and salutations to the sun.. 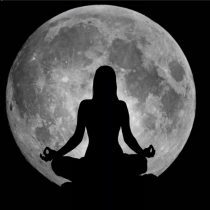 Breathing in the same way repeat 'OM SOOR-YAH-YAH NAH-MAH-HAH'. A mantra especially good at sunrise and sunset. Here are a few other popular mantras to try..
Repeat 'OM GAN GAH-NAH-PAH-TAH-YEI NAH-MAH-HAH'. A mantra for new beginnings and the removal of obstacles. A mantra for striving towards perfection. Repeat 'OM DOOM DOOR-GAH DOOR-GAH-YEI NAH-MAH-HAH'. A mantra for protection when you need it. Repeat 'OM SHREE SHAH-NESH WAH-RAH-YAH SWAH-HAH'. A mantra for learning lessons and moving on. Repeat 'OM SHREEM MAH-HAH LAKSH-MEE-YEI SWAH-HAH'. A mantra for generating abundance of all kinds. The Markandeya or Maha Mrityunjaya Mantra, the 'Great Mantra' for cultivating the healing power within. A mantra for all journeys, including the final one. 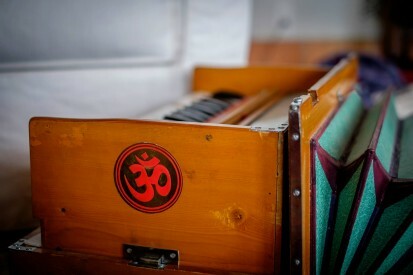 For more information about mantra and kirtan contact us.